"Discover riches and earn a fortune in this thrilling game with Stacked Wilds and Free Games that can be retriggered indefinitely." To be honest, the theme of this Playtech release a bit eludes us. At first, it’s quite simple: the game is about a lion, but not any old lion, no. This game is about a rare breed of lions that live in South Africa, recognizable by their white coat and their majestic mane. These big cats are so amazing, the locals regard them as a deity of some sort. But, it has a fantasy feel, reminding of Lord of the Ring. 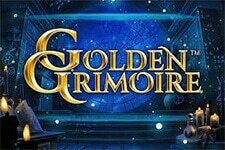 But, all this aside, this is an exciting game, offering dynamic gameplay and plenty of chances to grab lucrative wins. 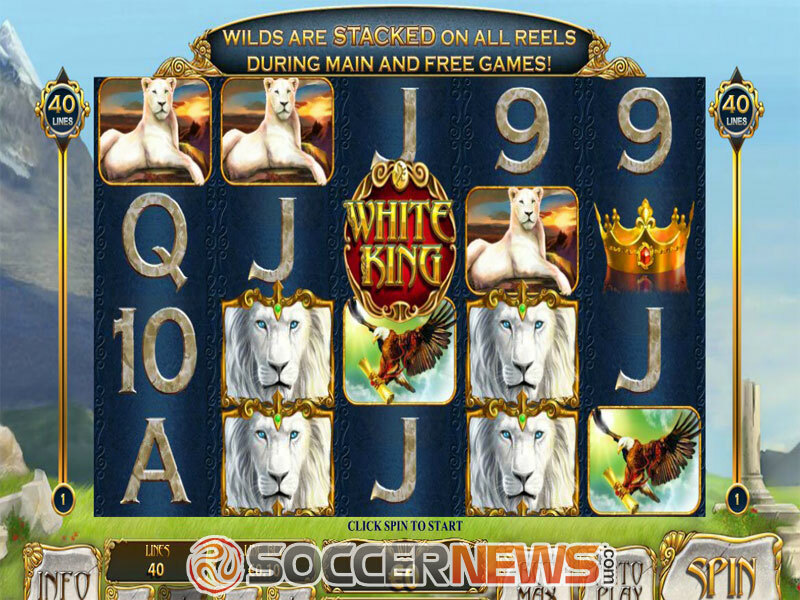 White King is a 5-reel 4-row video slot with 40 adjustable paylines, wide betting options and high volatility. 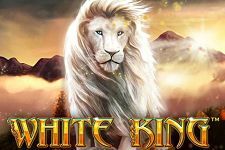 With stacked Wilds in both the Main Game and Free Spins feature, and with an unlimited number of spins at play, White King is definitely a title worth checking out. 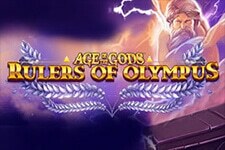 As we’ve already mentioned, the game offers wide betting options, which will suit both penny punters and high rollers. The coin value ranges from $0.01 to $50, while the wagering starts as low as $0.01 – for one selected payline – and can go up to $2,000 per spin. 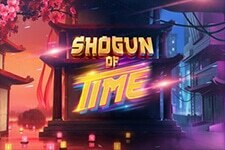 This 2014 release boasts the Turbo Mode feature which allows players to spin the reels very quickly and, in turn, creates highly dynamic gameplay. When it comes to symbols on the reels, apart from the usual set of low-value playing cards, you’ll find lion cubs, a lioness, an eagle, and of course the White King himself, who is the game’s highest-paying symbol as well as Wild. 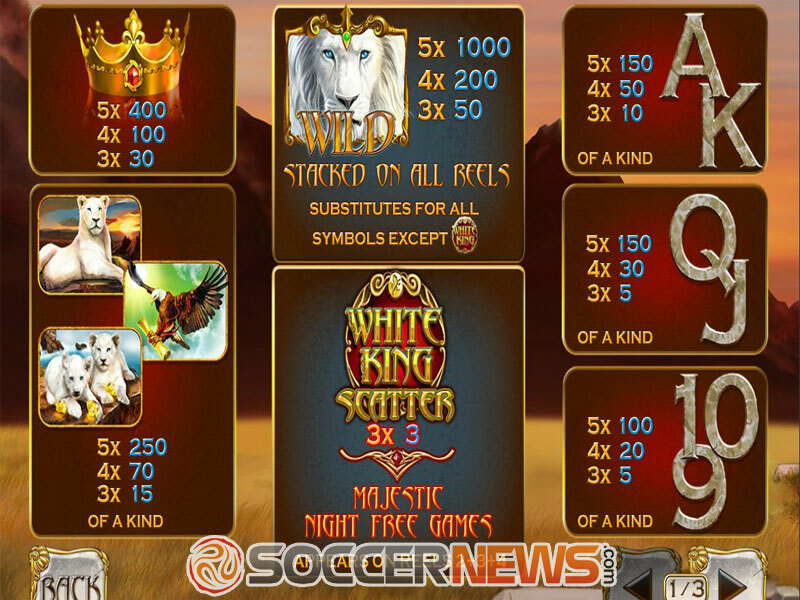 Wild can appear anywhere on the reels, substituting for all other icons bar Scatter and since it appears stacked during both the Base Game and the Free Spins round, it can lead to hefty payouts. 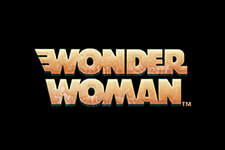 The game logo is Scatter, which can land only on reels 2, 3 and 4, triggering the Majestic Night Free Games feature. 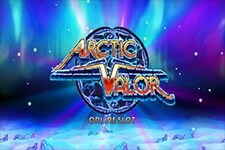 Once the feature is activated, players will receive 5 spins, while its number can be increased by landing additional three Scatter. This can be done infinitely, at least in theory. Remember, Wilds will also appear stacked during this feature, resulting in big wins. 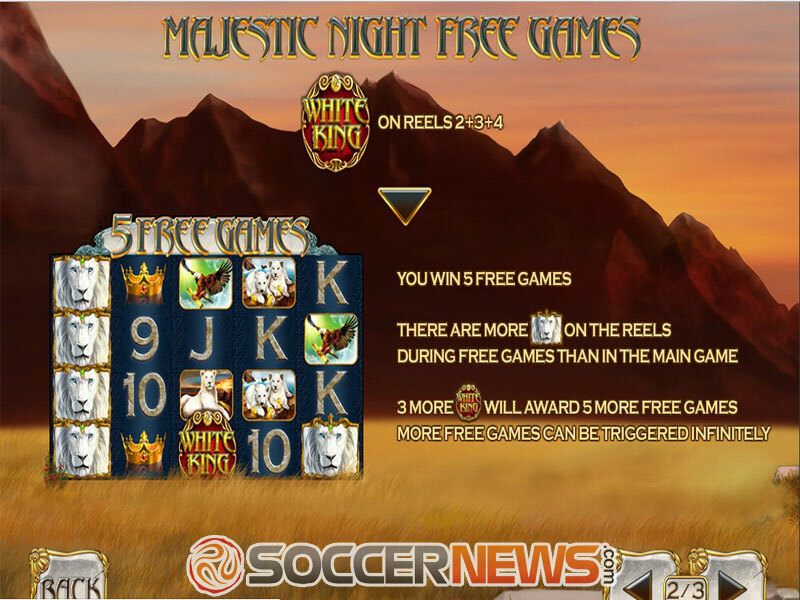 Visit any of Playtech casinos and select White King. 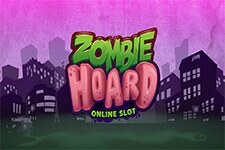 Win an unlimited amount of free spins. "White King is a visually attractive release, offering a dynamic gameplay, but most importantly it has the potential to hand out handsome rewards. In terms of features, the game is nothing out of the ordinary but the fact it has high volatility is something that definitely sounds appealing. So be sure to check it out, you’ll have fun and with a bit of luck, the whole experience may prove to be extremely rewarding."